This transfer includes six brand-new fast-response Metal Shark boats–capable of reaching up to 35 knots–along with trailers and spare parts estimated to be worth approximately USD12 ‎million. Delivering these patrol vessels represents deepening U.S.-Vietnam cooperation in the areas of maritime law enforcement, maritime search and rescue, and maritime humanitarian assistance operations within Vietnam’s territorial waters and exclusive economic zone. 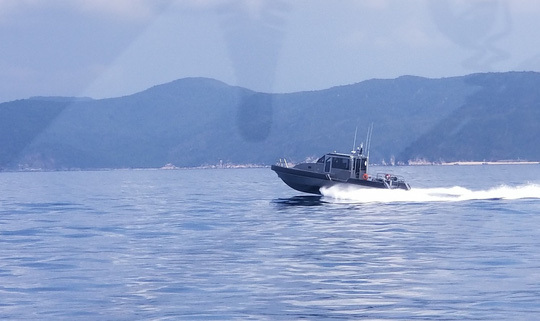 These patrols boats will assist VCG Region III in costal patrols and law enforcement to combat smuggling, illicit trafficking, piracy and armed robbery against ships, and illegal fishing. 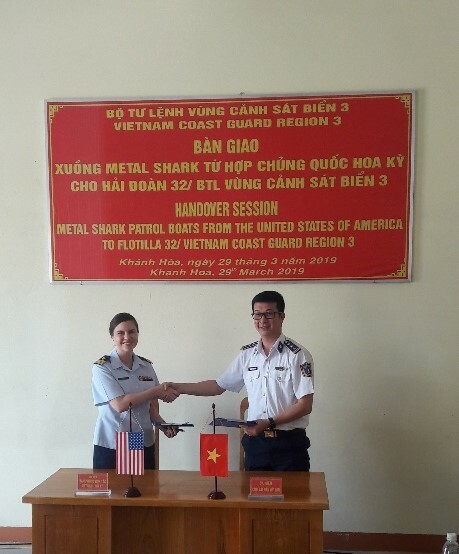 Over the past two weeks, the Vietnam Coast Guard has demonstrated their ability to operate the Metal Shark boats with proficiency and have proven they are ready for more advanced Metal Shark training.